Located in the heart of Rockland county, this center was positioned to take advantage of the quite surroundings. This location was designed for efficiency to ensure that every guest can succeed. 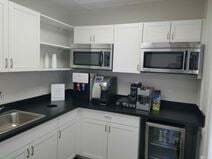 Fully furnished offices allows for the pricing terms to stay consistent. Located near many historic buildings that include Clarkstown Town Hall, Rockland County Sheriff’s Department and Clarkstown Justice Court.